In an effort to express the real meaning of the holiday season Stonyfield has generously gave it's tastemakers a $50 gift-card to donate to a cause of our choosing. I'm excited to announce that I will be donating to the Kevin Fonzo Foundation. Founded in 2014 by Chef Kevin Fonzo, the mission of this non-profit organization is to provide children with as much knowledge as possible about where their food comes from and how to cook healthy meals. I was fortunate to meet Chef Fonzo this past fall on a culinary trip in Italy and loved listening to him passionately talk about the foundation and upcoming projects; including the soon to open 3,000 square foot Kitchen House & Culinary Garden. If you believe that "we are what we eat," than you must know it's imperative to teach children the importance of good nutrition, and where their food comes from. Every child deserves an opportunity to eat healthy. This is the goal of the Kevin Fonzo Foundation; a goal I totally stand behind. Are you "Paying it Forward" this holiday season? I would love to hear about it, leave a comment and let me know. It doesn’t matter what you do or how you do it, just do it! Who knows, maybe it will spiral into something much bigger. Making sure children have enough to eat is important to me, so I volunteer with area elementary schools by giving talks about nutrition and career development. That is so generous and sounds like a great cause! Such a great cause! Childhood hunger is a huge issue in our area. We are big supporters of our local Feed America chapter. This is amazing and what a great time of year to pay it forward! Such a wonderful and generous idea! Such a great cause! I love this idea! <3 love this! 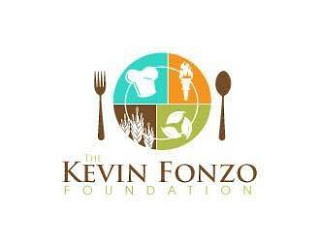 I can't wait to read more about the Kevin Fonzo Foundation!